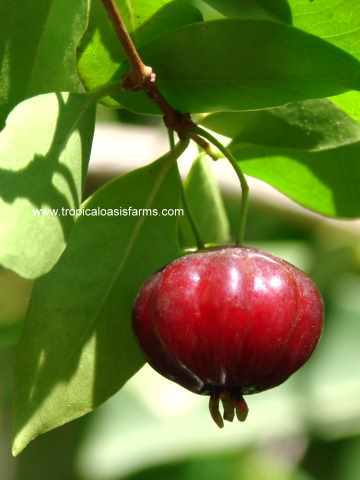 Beach Cherry (eugenia reinwardtiana): a slow growing drought hardy Australian "bush food" shrub also known as Cedar Bay Cherry. 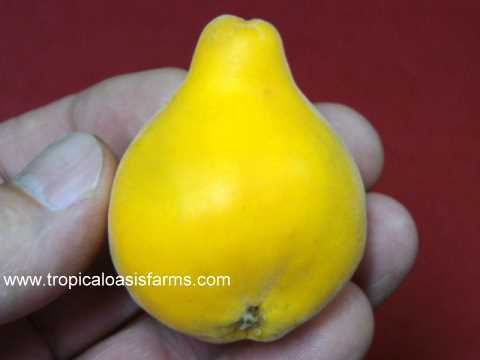 Delicious small fruit with sweet, soft flesh. 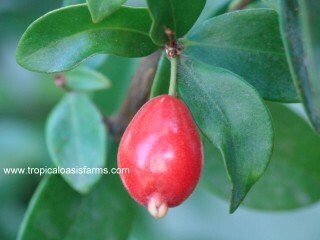 Cherry of the Rio Grande (eugenia aggregata) - a small ever-green tree producing tasty cherry-like fruit. 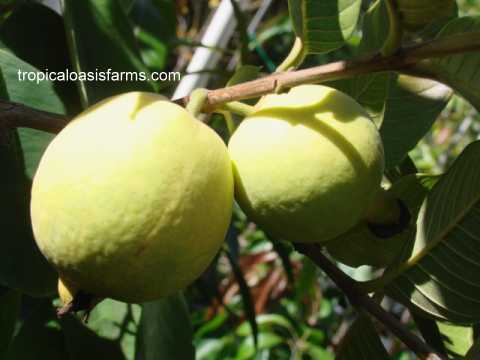 Chico Sapote (manilkara zapota): also known as sapodilla - This is a very slow growing tree originating in Central America that eventually produces a very sweet fruit sometimes called the "brown sugar" fruit as they are so sweet with a somewhat granular texture. 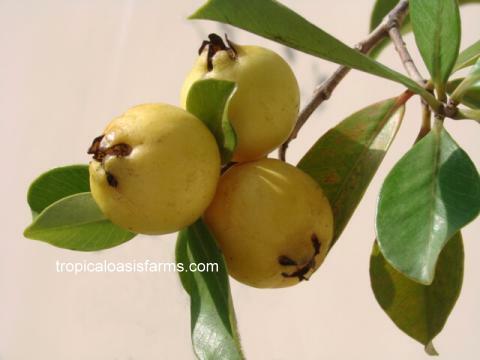 Our current stock were grown from superior quality fruit picked in the Yucatan. 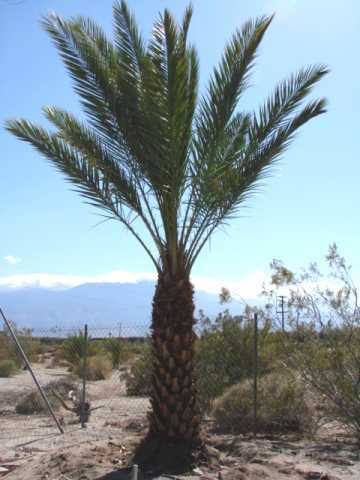 Date Palms (phoenix dactylifera): - Please call 909 941 1060 to arrange your date palm purchase in Southern California. 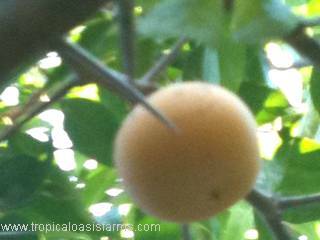 Male Date Palms: male date palms for pollinating & for landscaping. 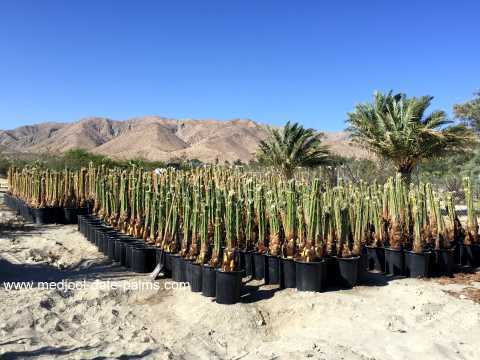 Available in all sizes from recently removed off-shoots to 20 foot tall mature male date palms. 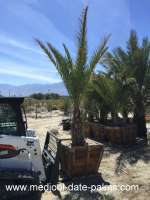 Medjool Date Palms: female medjool date palms are in stock right now with special discounted pricing! 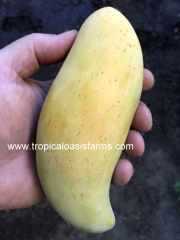 Available in all sizes from young rooted off-shoots to large mature palms. Medjool date palms are sold based on the amount of woody trunk the palm has: recently removed pups usually have about one foot of woody trunk. Twelve foot tall date palms have about 4 feet of woody trunk, and 20 foot tall date palms have about 12 feet of woody trunk. 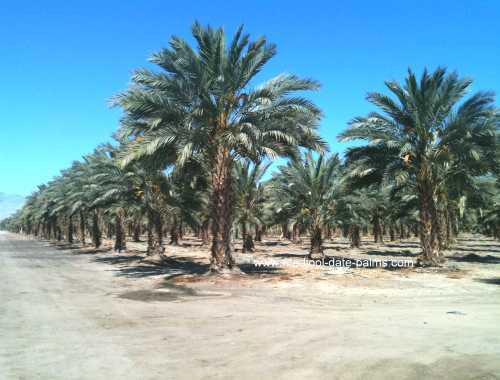 Please call 909 941 1060 for mature female medjool date palm pricing and availability in Southern California. 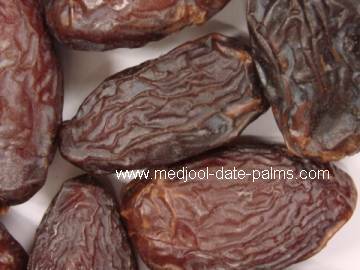 If you want to grow medjool dates in your yard, then see one of our date palm "Male + Female" package deals below with one male date palm for pollinating + one (or several) female medjool palms. Please call 909 941 1060 to arrange your purchase at one of our locations in Southern California. 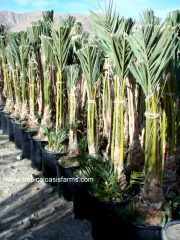 Zahidi Date Palms: zahidi date palms for date production and for landscaping. 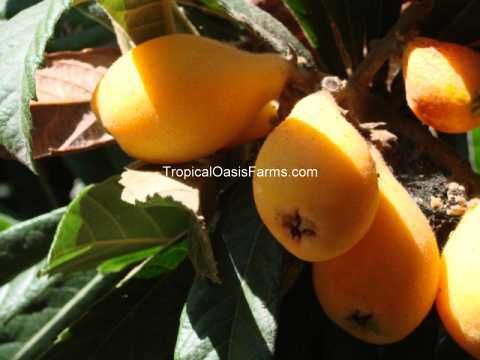 Available right now in rooted off-shoots, also large mature zahidi date palms. Dates - Fresh Medjool Dates: delicious organically grown medjool dates can be purchased fresh picked in September & October each year, mark your calender! 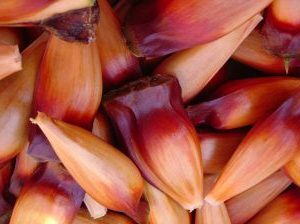 Date Palm Male Flowers and Fresh Date Palm Pollen: organically grown date palm male flowers and date palm pollen for sale - fresh picked in March & April each year, call (909) 941 1060 to order. 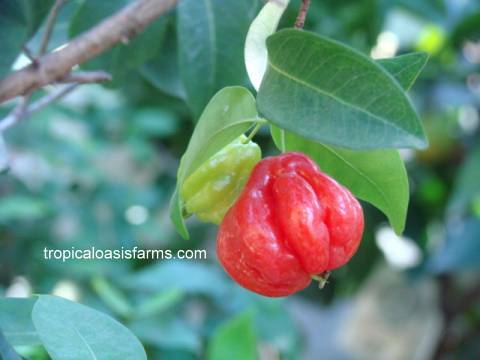 We run out each year, so call and place your order early. Dragon Blood Tree (dracaena draco): The sap of this palm is a dark red that old European legends said was actually "the blood of dragons". 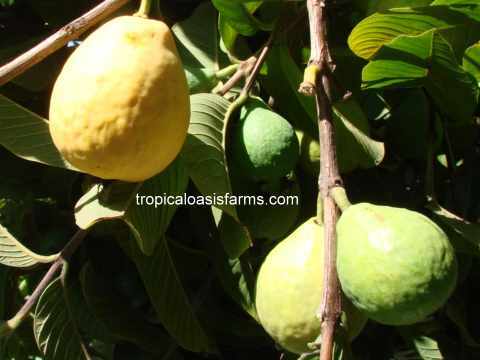 Fig (ficus carica) - four grafted varieties in stock: "Black Mission", "Kadota", "California Sweet" & "Brown Turkey"
Guava - Tropical (psidium guajava): Brazilian guavas grown from superior tasting fruit that we hand-selected in Minas Gerais, Brazil - our guava selections not available from other USA nurseries! 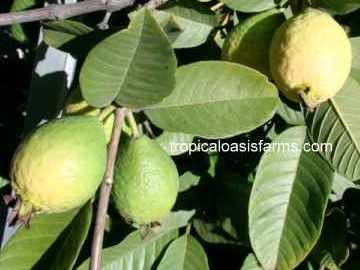 "Yellow South African Guava": a unique and delicious CRFG seedbank selection from 1997! 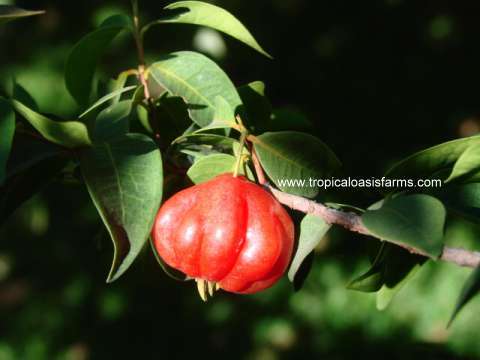 "Maroon Guava": The leaves, trunk and fruit have beautiful red-purple color, and the uniquely flavored fruit is very tasty. 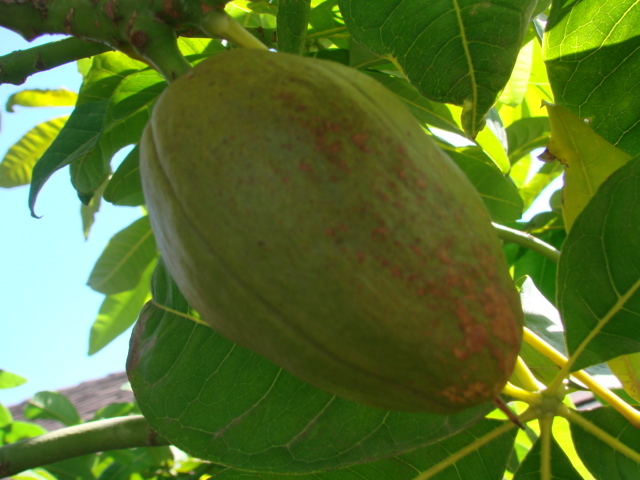 Malabar Chestnut (pachira aquatica) - also known as "castanha de Para"
Mesquite Seed Pods: Mesquite Seed Pods (prosopis glandulosa): available in summer - Organically grown in California. 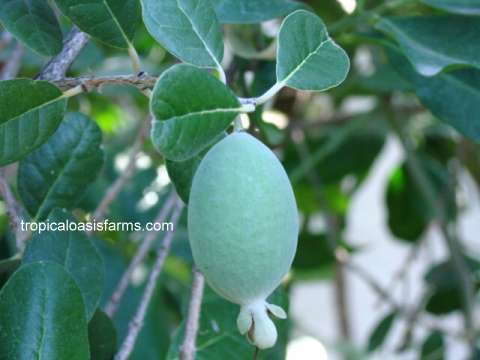 Medical studies of mesquite found that despite its sweetness, mesquite flour (made by grinding whole pods) "is extremely effective in controlling blood sugar levels" in people with diabetes. 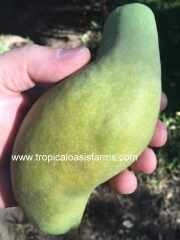 The sweetness of mesquite pods comes from natural fructose, which the body can process without insulin. 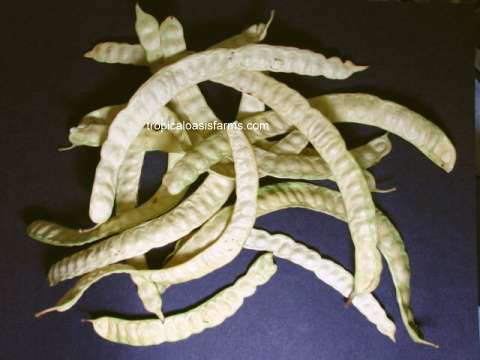 Mesquite Seed Pods also make very flavorful wood smoke in barbeques! 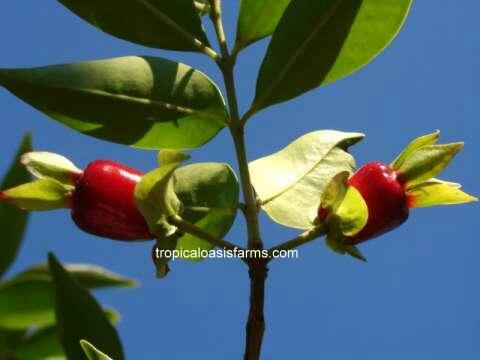 Pitanga (eugenia uniflora): Purple Pitangas and Red Chomba Pitangas in stock - fruit twice per year! 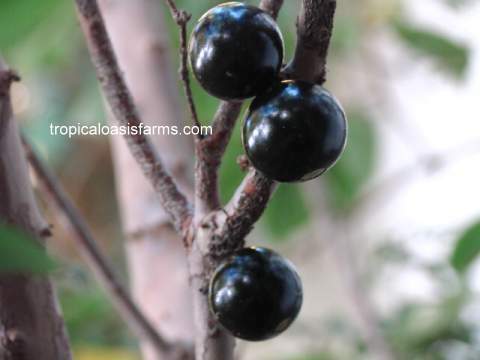 Surinam Cherry (eugenia uniflora): Purple Surinam Cherry and Red Chomba Surinam Cherry in stock - produces fruit twice per year! Washington Palms: a fast growing and tall landscape palm. 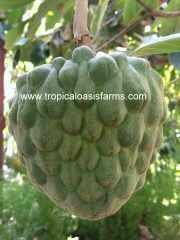 Native to the desert regions of Mexico. This palm is very hardy and can withstand several degrees below freezing. 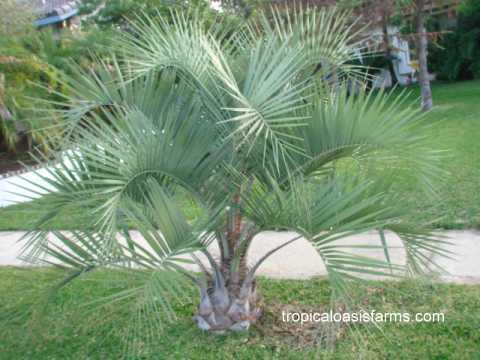 Mexican Fan Palm (Washingtonia Robusta) fast growing palm to 100 feet tall with slender trunk. 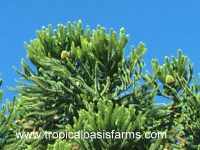 California Fan Palm (Washingtonia Filifera) fast growing palm to 60 feet tall with barrel shaped trunk. 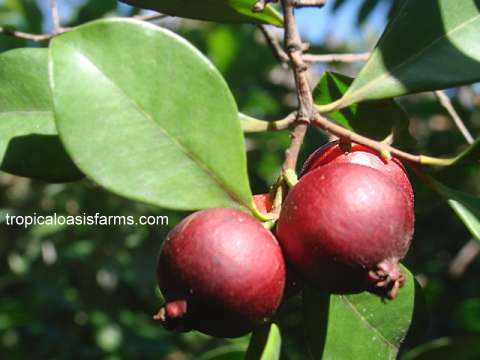 Uvaia do Campo (Hexachlamys edulis, Family: Myrtaceae) - also known as ubajay, ubajai and ibajai. 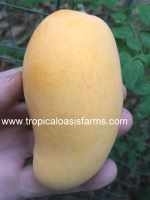 Sweet & tart fruit with agreeable flavor, also makes delicious juice. 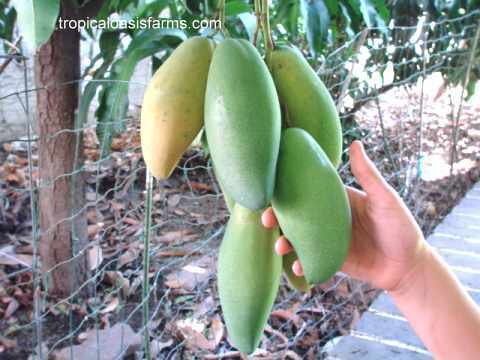 Fruits have a pungent aroma. 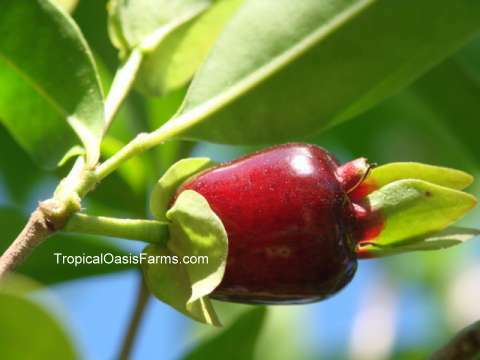 Tree Ripened Fruit: Our tree ripened fruit program has been a huge success! In the fall each year, we can ship orders for organically grown fresh picked Medjool dates and other date varieties including crunchy Barhi dates at the golden Khalal stage, and also Halawi dates, Zahidi dates and Honey Jewel dates, all grown organically! © Copyright 1999-2018 - medjool-date-palms.com® - All Rights Reserved.